J-Rod is still going strong! 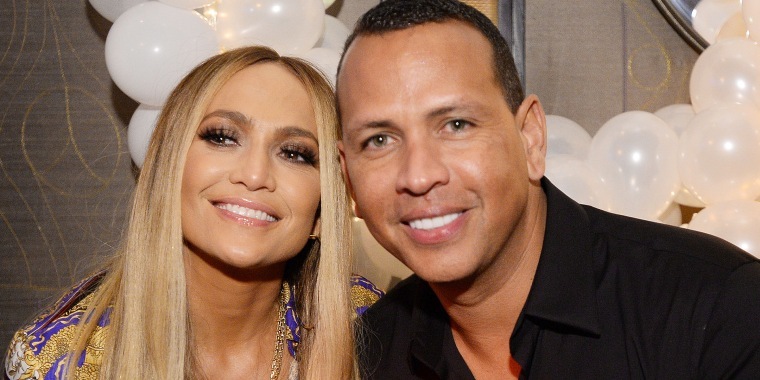 Jennifer Lopez and Alex Rodriguez are more in love than ever. The couple recently celebrated their second anniversary, and they both posted sweet messages on Instagram marking the milestone. Rodriguez was just as sweet on his Instagram page. A-Rod also posted photos of his daughters, Natasha and Ella, hanging out with Lopez’s children, twins Emme and Max. The couple have been head-over-heels for each other since they started dating in 2017. Lopez said her relationship with Rodriguez is different from her previous romances. "He's brought something to my life that I've never had before, which is kind of an unconditional support and love kind of a matching of like, twin souls," she told Sunday TODAY’s Willie Geist last year. "That's a different thing for me, now I know what it's like to be with me. He works as much as I do, he's kind of as driven as I am."